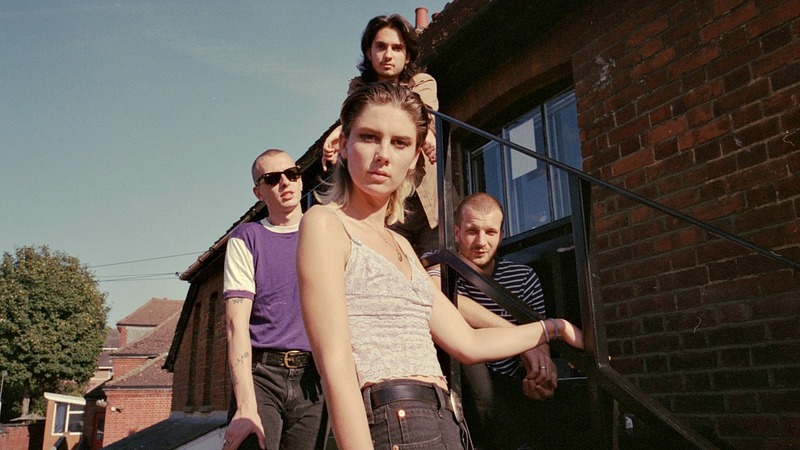 But 2018 is Wolf Alice's year — and the quartet won the Mercury Prize on September 20 for Visions of a Life at the awards ceremony at London's Eventim Apollo in Hammersmith, jubilantly (and maybe a tad nervously) performing their single "Don't Delete the Kisses" twice. It was the perfect culmination of a remarkable handful of years for singer and guitarist Ellie Rowsell, guitarist Joff Oddie, bassist Theo Ellis, and drummer Joel Amey. The four friends are not only adventurous in the studio, but also churn out electrifying live sets at festivals like Glastonbury and Reading. They've come to the Bronx for two riveting FUV Live sessions too, in 2017 and 2015. Rowsell's agile guitarwork and her wondrous, expressive voice coolly elevates her sharp lyrics, leaping from scathing indictment to tender entreaty to chill rap (sometimes all in the same song, like on 2015's "Giant Peach"). And while she might shy from comparisons, Rowsell's powerful command of a song does recall PJ Harvey, in strength and steely self-assurance. Harvey, who will be scoring Ivo van Hove's theatrical adaptation of All About Eve on the West End this winter, is the only artist to have ever won the Mercury Prize twice (for 2001's Stories from the City, Stories from the Sea and 2011's Let England Shake) — a record that could be equaled one day by recent winners Rowsell and her Wolf Alice bandmates. For Polly Jean's birthday on October 9, FUV asked Rowsell if she might have some favorite Harvey tunes. So from a brand new Mercury Prize winner to a two-time recipient, this is Rowsell's "Five Essential PJ Harvey Songs" for FUV Essentials. This is my favourite PJ Harvey song. The lyrics are almost like a nursery rhyme and yet I feel the personal depth of this song, especially knowing that PJ comes from Broadchurch where the cliffs are — and also the dark turn this song takes in the last verse. I mainly love it for its instrumentation, though, and the beautiful vocal effect that I have all too often tried to emulate. This song is desperately sad. When it all comes in at the end after the pause, and she starts singing the refrain, "silence," I often feel moved to tears. I know this is a Nick Cave song, but it's a brilliant duet and is my favourite music video ever. I'm a much bigger fan of PJ Harvey's later work to be honest, but I thought I should add in an older song. So I have chosen "We Float," 'cause it's a great chorus juxtaposed against the verses. Read all of FUV's Five Essential Albums and Songs here.